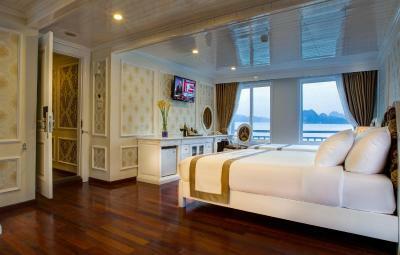 Lock in a great price for Signature Royal Halong Cruise – rated 9.3 by recent guests! One staff in particular, Liam, did everything he could to make our experience the best it could be. The boat was in good shape and comfortable! 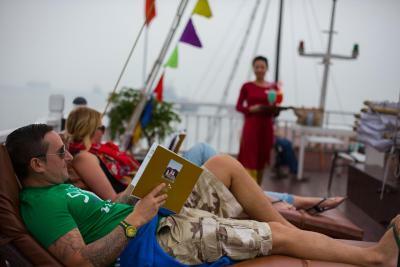 We enjoyed how comfortable the cruise was and the beautiful scenery. 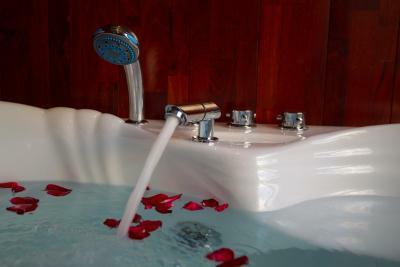 The staff and the facilities made us feel special: lots of servers tending to your needs, cozy bed, big bath tube with a view, room with balcony and smell of lemongrass. Very clean & friendly. The rooms were spacious, and the view was, of course, fantastic!! 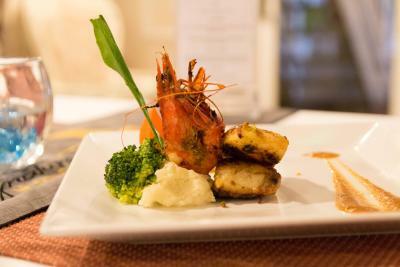 Great meals- all 5 course! Bruce was our tour manage in the ship ‘ he was absolutely amazing! They kept us busy with canoeing, Cave tour, beach swimming, cooking class, squid fishing, touring a fishing village & breathtaking sights! I can’t recommend this cruise enough! We absolutely loved this trip! I did a lot of research comparing cruise lines and I am so glad we decided to go with Signiture! 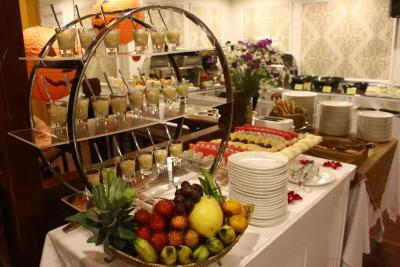 The excursions, food, rooms and staff were all amazing! Their arrangements, staffs, service, commitment, tourists sensitivity and professional team members. In the cruise, Bruce Panda, Event Manager, an excellent guy having good sense of humor with Tina, Kim of smiling faces. After finishing the cruise, a surprise awaited for me. I kept my bag with passport, dollar, money bag, mobile in their shuttle bus. At this moments, i became puzzled to do as my passport lost. They returned my bag within 01 hour to my hotel. I was so happy to see their service and commitment. Really very professional attitudes they have shown to me. The boat itself was fantastic. The staff were friendly and couldn’t have done anymore for us. The room I had was clean, cosy and well stocked of all the things you would need. The food was amazing and lots of it! My friend had special dietary requirements which were catered for with no fuss at all from the staff. 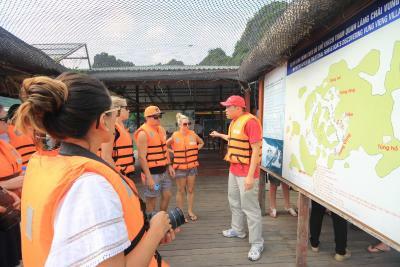 The activities selected for us were great and allowed us to see the bay in closer detail! I would definitely recommend this to people in the future. This is a great cruise takes the route least traveled. Very organized and personalized. Awesome staff. The staff on the Signature Royal were spectacular. The food was excellent. Our room was very spacious and the bed was comfortable. Everything! The communication was excellent, the limousine bus services were fantastic, the crew and staff were attentive and helpful. 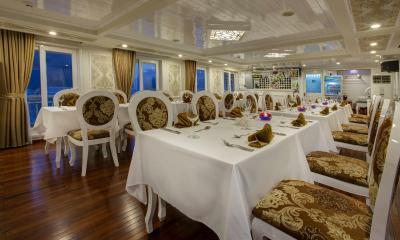 The ship itself was extremely comfortable, clean, and well designed. The bed was beyond comfortable, the balcony had incredible views and the bathroom.was luxurious (including the spa tub!). 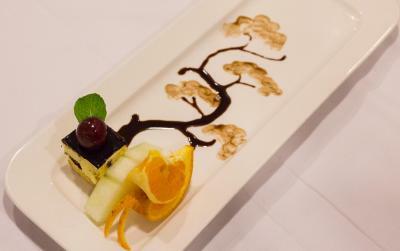 In addition, the food was 5-course meals and each was personalised and delicious. The day trips were pleasant (trip to the fish and pearl farm and kayak trip to a beach). 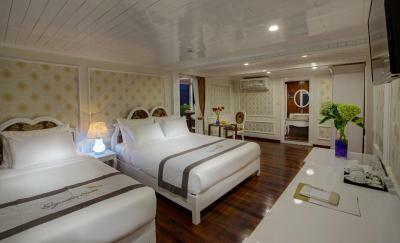 Signature Royal Halong Cruise This rating is a reflection of how the property compares to the industry standard when it comes to price, facilities and services available. It's based on a self-evaluation by the property. Use this rating to help choose your stay! 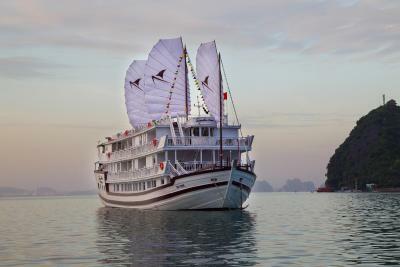 One of our top picks in Ha Long.Signature Royal Cruise offers luxurious and elegant accommodations offering stunning views of the UNESCO World Heritage Site, Ha Long Bay and the beautiful Lan Ha Bay. 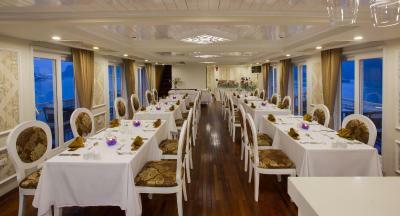 It operates a 24-hour front desk and features an on-board restaurant. 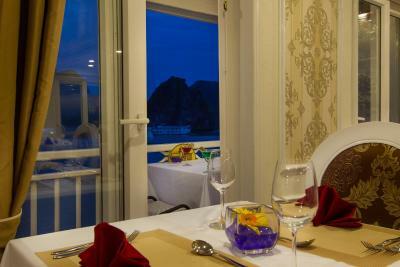 Offering spectacular views of the sea, air-conditioned rooms come with parquet flooring, a wardrobe, in-room safe, a flat-screen TV and mini-bar. The private bathroom includes shower facility, hairdryer and free toiletries. Bathrobes and slippers are also provided. 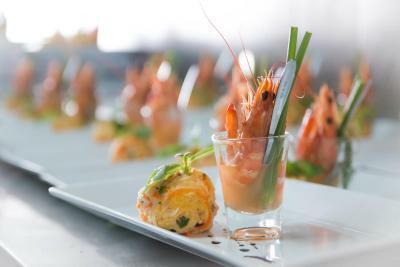 At Signature Royal Cruise, guests can relax at the rooftop sun terrace or enjoy drinks at the bar. Fluently-conversed in Vietnamese and English, friendly staff can assist with luggage storage and ironing services. Vinashin Wharf is approximately 24 mi from Cat Bi International Airport. 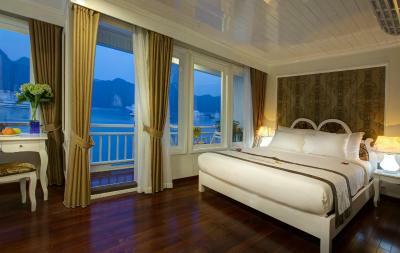 When would you like to stay at Signature Royal Halong Cruise? Located on the first floor with views of the sea, this cabin features either 1 king-sized bed or 2 single beds and a bathroom with a spa bath. Located on the second floor, the signature senior suite cabins feature a double bed, a private balcony which opens up to views of the sea and an private bathroom with a spa bath. 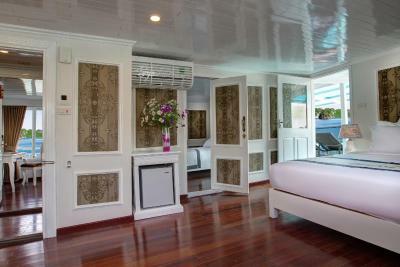 Located at the end of the boat, the elite family cabin feature 2 rooms with a king-size bed each. 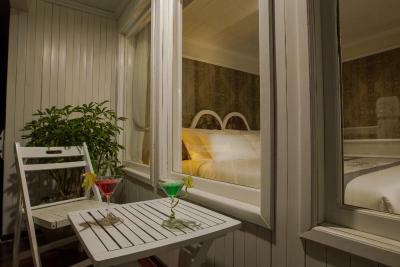 There is also a private terrace and a spacious private bathroom with a spa bath. 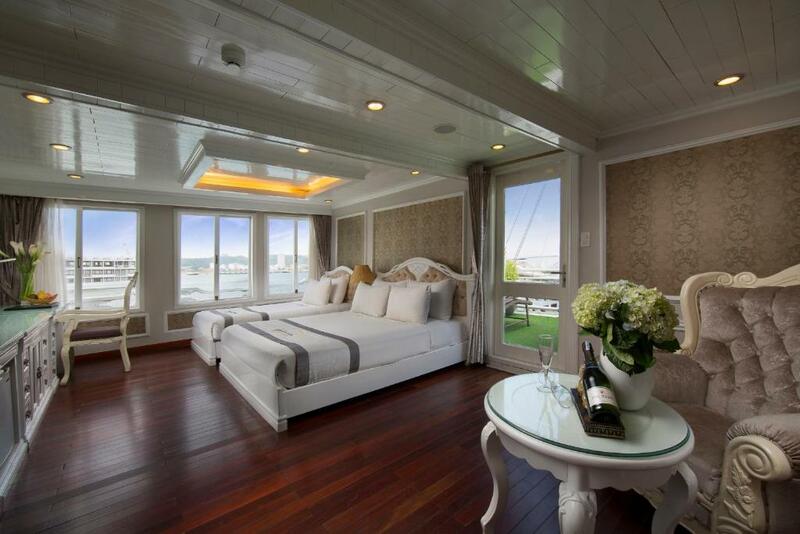 Located on the top deck, the exclusive family suites offer 1 double bed and 1 single bed. 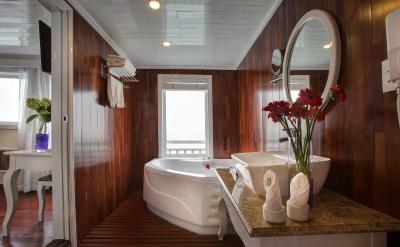 Guests can also find an private bathroom with a spa bath and a private terrace that opens up to views of the sea. Located on the first floor with views of the sea, this room features either 1 king-sized bed or 2 single beds and an private bathroom with a spa bath. Located on the second floor, the signature senior suites feature a double bed, an private bathroom with a spa bath and a private balcony which opens up to views of the sea. Located at the back of the boat, the elite family suites feature 2 rooms with a king-size bed each. 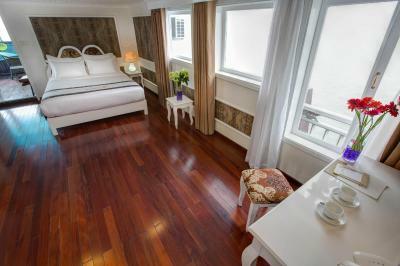 There is also a private terrace and a spacious private bathroom with a spa bath. Located on the top deck, the signature royal suites offer 1 double bed and 1 single bed, an private bathroom with a spa bath and a private balcony which opens up to views of the sea. New boat makes new experience. 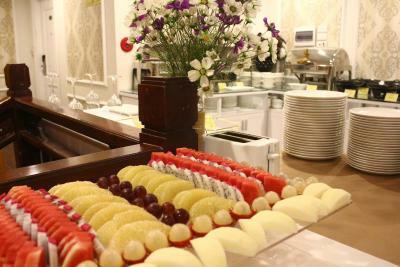 We welcome couples and small group of guest who wants to stay away from crowded. Your choice makes your style. 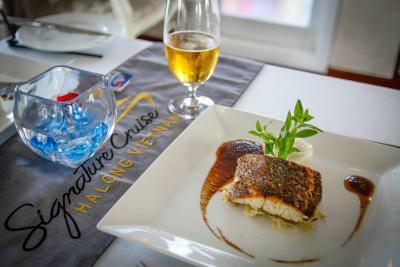 House Rules Signature Royal Halong Cruise takes special requests – add in the next step! 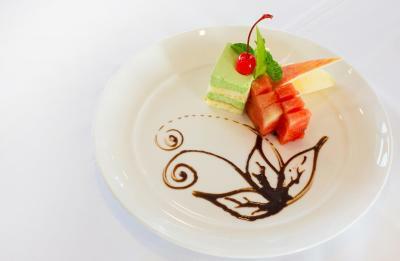 Signature Royal Halong Cruise accepts these cards and reserves the right to temporarily hold an amount prior to arrival. 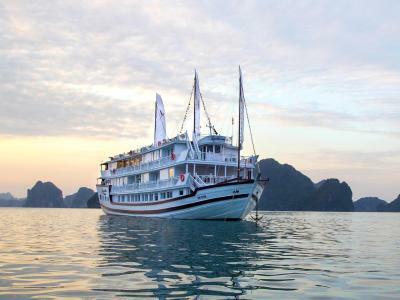 In case of bad weather conditions and risks of storms, Halong Bay Port Authority might limit the possibilities of cruising and make final decision of cruise cancelation. 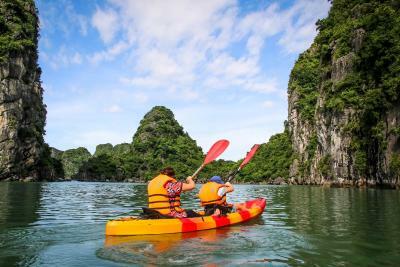 In the event of foreboding storms, cancelation is informed prior to arrival date and guests do not travel to Ha Long, full refund is given to the guests. In case of cancelation on arrival day, or during the chosen itinerary, charge occurs based on the cruise's policy. Kindly contact the property for further details. Transfer service (Pick up and drop off within Hanoi Old Quarter area only) is available at an extra charge. Rates for round-trip service in a shared bus are USD 40 per guest in a luxury bus. 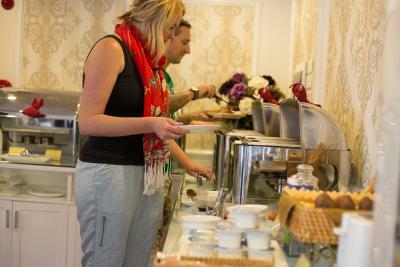 Guests who wish to utlise the service are expected to contact the property directly at least 2 days prior to arrival. You can use Special Requests box when booking, or the contact details found in your booking confirmation. 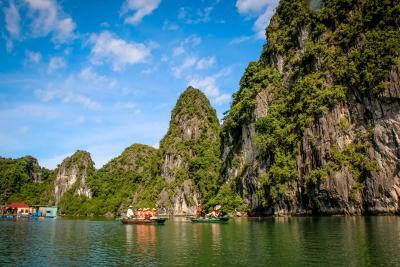 Staff were extremely helpful & friendly, especially Vinh who constantly is on his feet ready to help everyone - he organised our transfer from Halong to Tam Coc in a matter of minutes so we had absolutely no stress once we disembarked. Couldn’t thank him enough! The food was so-so and primarily catered to a Western palette. The route we took to the islands wasn’t as “secluded” and “exclusive” as we were lead to believe. This cruise catered to families too which is nice if you have a family but very loud/obnoxious if you’re w/ adults. There was not anything we particularly didn't like. Bathroom was reasonably clean, false slatted floor not the best as it could move but it was practical. Very busy enjoyable trip. Heated, showering toilets, first time I had experienced one. When we experienced one problem the matter was fixed immediately. Transfer from Hanoi to the boat is a bit expensive but the bus was very well equipped. The room is big and comfortable; very well equipped, A/C; the group is small and we have a very good planning all along the day. Vinh our guide was very communicative, with clear explanations and super friendly. Activities were great.We definitely recommend a cruise with this company. Their shuttle bus service from Hanoi to Halong city is very nice. But their drivers must be trained up to drop the tourists in a right place. In my experience, the driver dropped me and my friend in a wrong place. We did not find the hotel easily. It took 30 minutes since all the signboard of Hanoi has been written in their own language. People are not interested to speak in English. The fake happy waving of hands everytime we came back to the main boat. 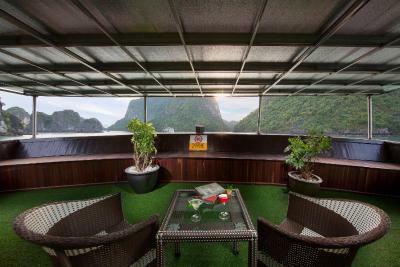 I would recommend the 2 night trip, to really see more remote parts of halong bay. We went kayaking and swimming at a remote sand beach with no other people around. The room was very clean and cosy. 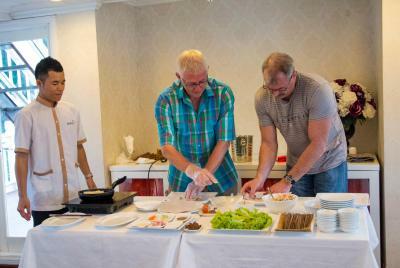 Great cruise, and a lot of fun with the tour-manager Mr. Panda :-) Very good service from the staff and really good food. 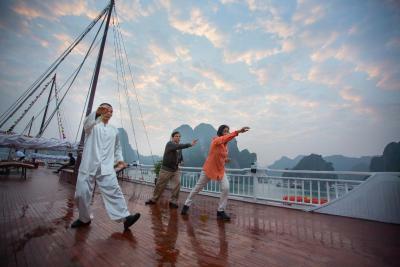 Good program for visiting interesting places in the Ha Long Bay. There was quite a lot of sitting around at the start and end of the trip, especially the end. We had to check out of our room at 9.15, but didn’t get on the bus back to Hanoi until 12.15. This could be looked into by the company maybe! Quite alot of food and I felt guilty leaving some!